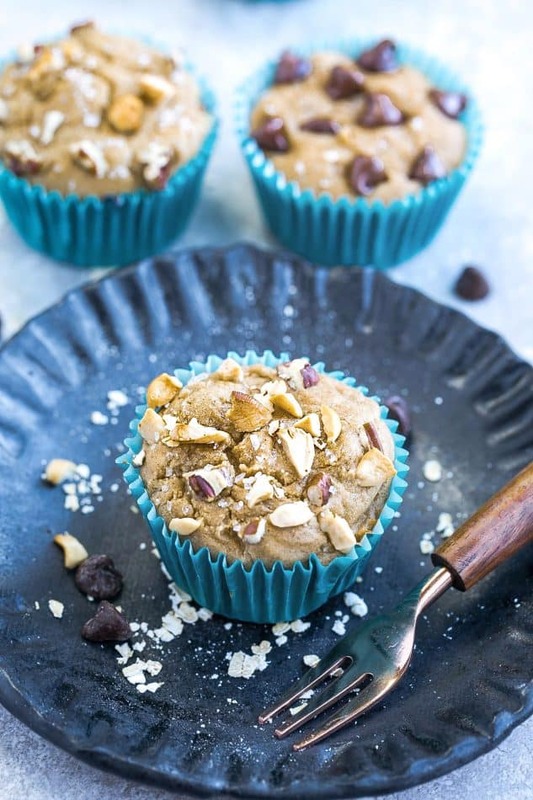 Easy Blender Muffins – made with a few simple ingredients and come together easily in a blender and perfect for a delicious breakfast or a healthy snack. Best of all, they’re gluten free and made with no flour and maple syrup instead of sugar. Plus recipe video. Mornings can be pretty unpredictable at my house. There are some days my kiddos wake up all happy and excited to start the day. Then there are those other mornings when it’s a struggle to crack a smile out of them. And that’s when muffins are totally needed. 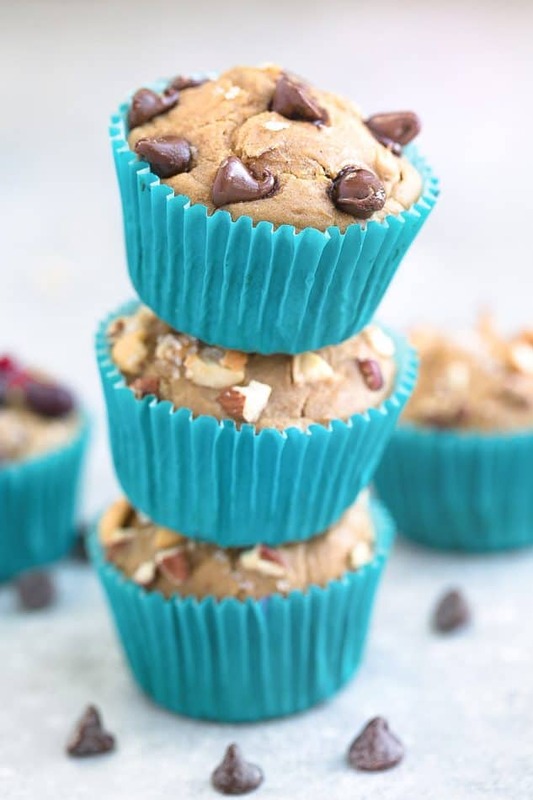 These Easy Blender Muffins are one of their favorites. I love them because I am not stuck with a bazillion dishes to wash afterwards. Before trying blender muffins, I used to only reserve making muffins on the weekends and then freezing the rest to heat up. 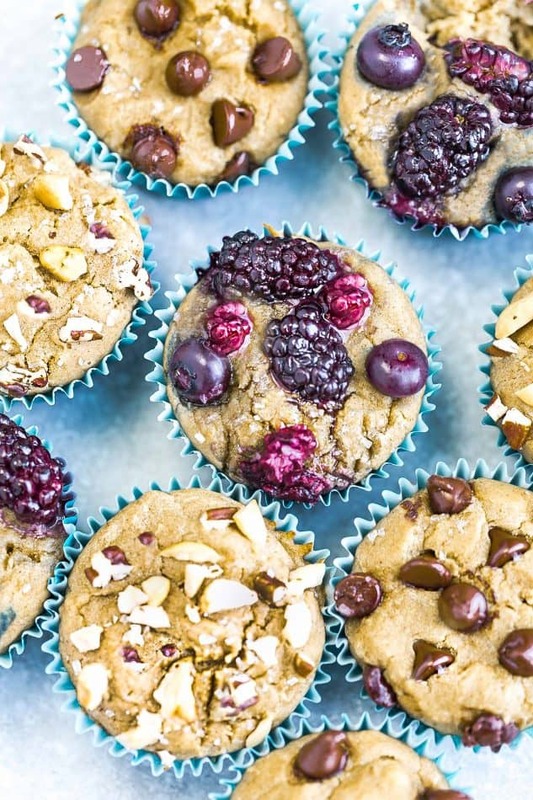 And with these blender muffins, there’s only five minutes to prep, tops. 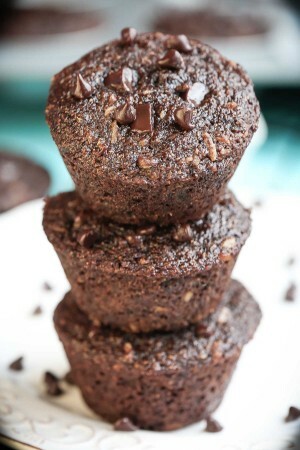 You simply put the ingredients in the blender, blend, and pour into the muffin tin. So easy! If needed, you can even eat these in the car. They’re also are made with coconut oil instead of butter and no flour. Instead of refined sugar, we use maple syrup or honey to sweeten these up slightly. You can also keep them dairy free by swapping out the milk with almond milk instead. 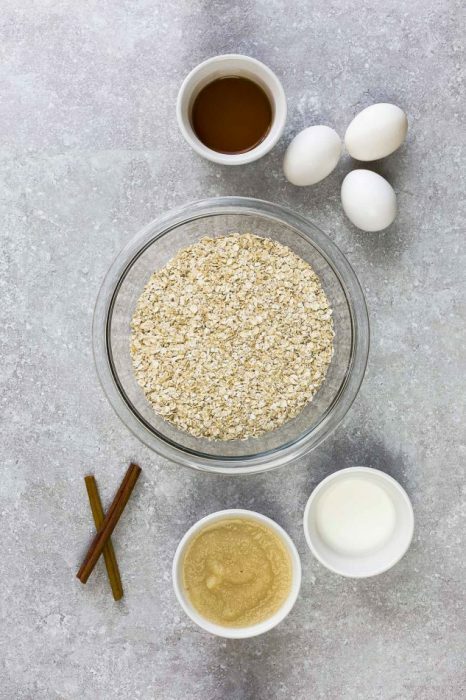 They’re full of hearty oats and fiber and are perfect for breakfast, a great afternoon snack for the kids and packing along into their lunchboxes. One thing I should point out is that because these muffins are made with oats, they are denser than normal muffins. 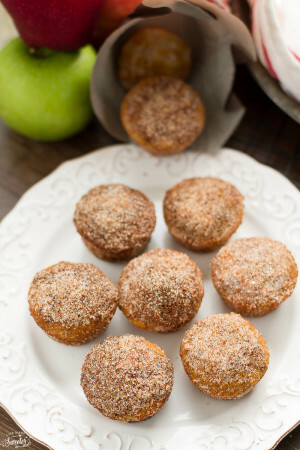 So if you are expecting a super light and fluffy muffin then I don’t want to disappoint you. 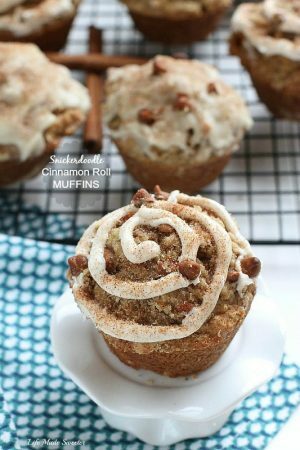 However, I really like the texture of these muffins and even though they are a little bit dense, they feel really hearty and filling. Plus, they’re so easy to customize with your favorite toppings. But you can totally have fun with the toppings and use what you like! 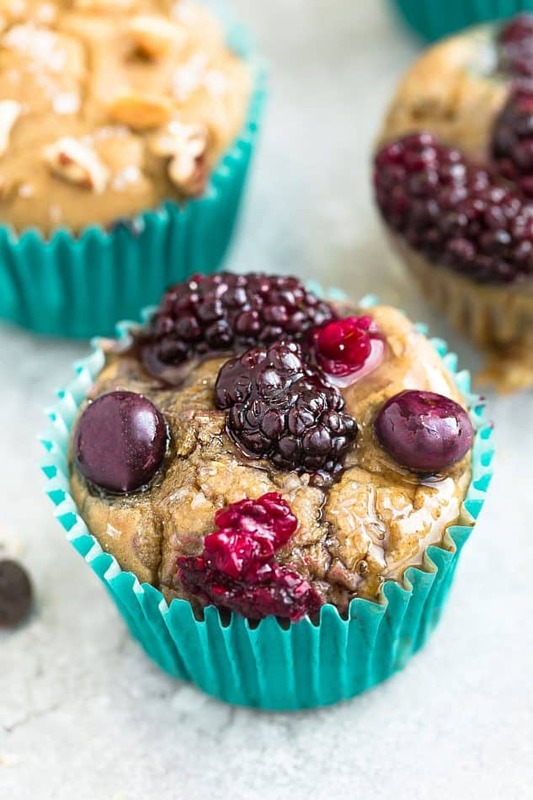 These Easy Blender Muffins make an awesome make-ahead snack, post-workout fuel AND they freeze well so they work great for Sunday meal prep too! 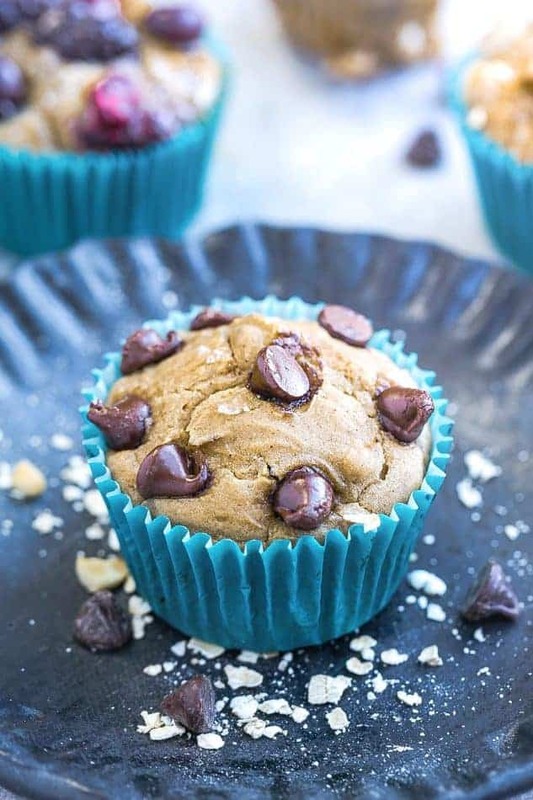 Easy Blender Muffins – made with a few simple ingredients and come together easily in a blender and perfect for a delicious breakfast or a healthy snack. Best of all, they’re gluten free and made with no flour, no oil and no refined sugar. Plus recipe video. Preheat oven to 415 degrees F. Grease a 12-cup muffin tin or line with paper liners. If using liners, lightly grease them as well or the muffins will stick. Set aside. 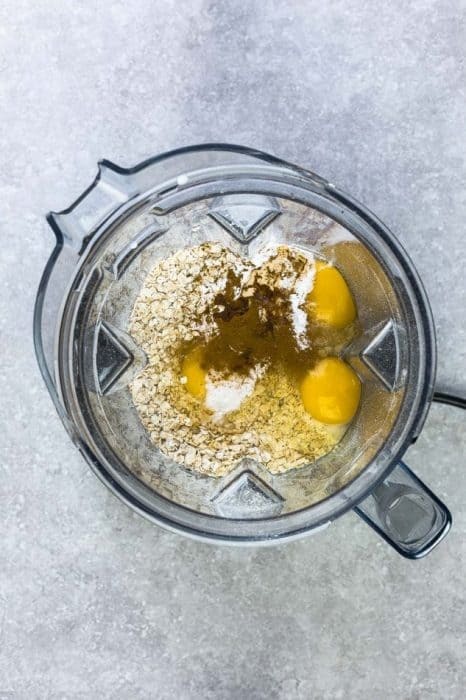 Add the oats, eggs, applesauce, oil, milk, maple syrup, baking powder, baking soda, vanilla and cinnamon into your blender. 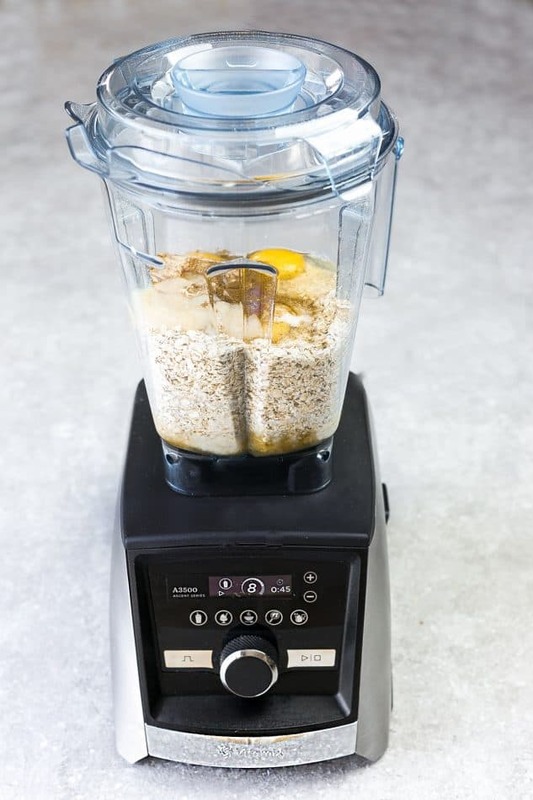 Blend on high speed, scraping down as needed to combine the ingredients and until the oats are well blended. Depending on your blender, this may take a few minutes. 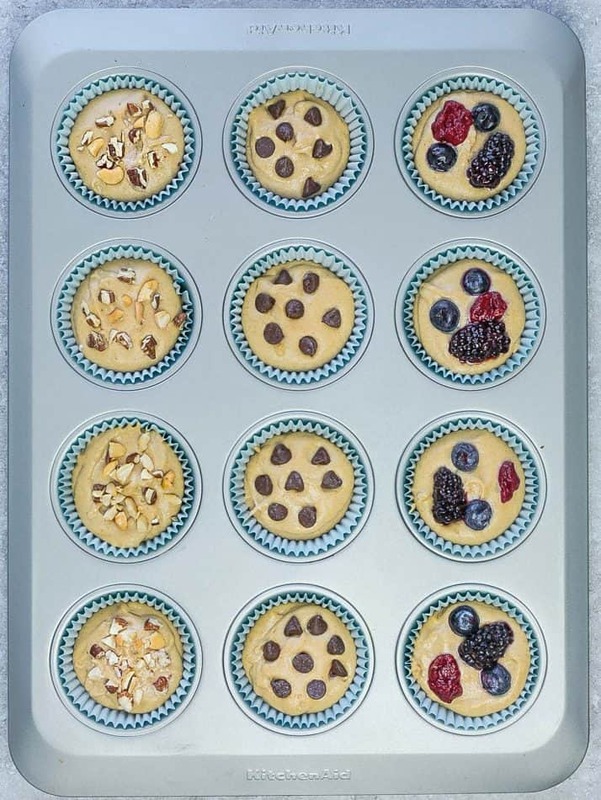 Once the batter is smooth, divide evenly into the prepared muffin tin - filling about 2/3 full. Top each muffin evenly with desired mix-ins. Bake at 415F degrees for 5 minutes then reduce oven temperature to 375F (keeping muffin pan in the oven) and continue to bake for 8-12 minutes or until the tops are lightly golden and a toothpick inserted in the center comes out clean. Remove from oven and allow to cool in muffin tin for 10 minutes. Muffins taste best the same day.